NOTE: These photos are NOT taken in black and white or colour corrected! 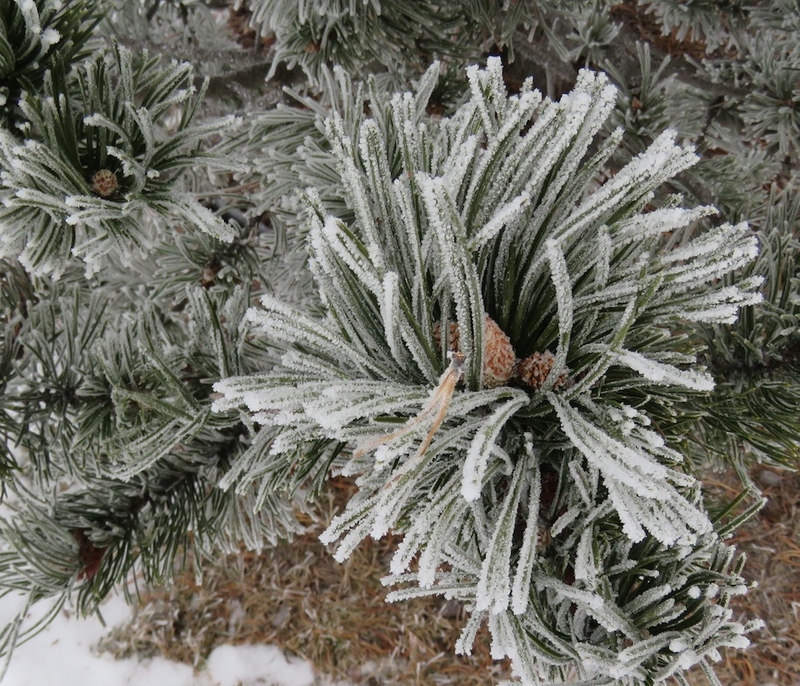 The entire weekend was foggy, chilly and hoary. I prefer a blue sky, but it was beautiful, especially today. 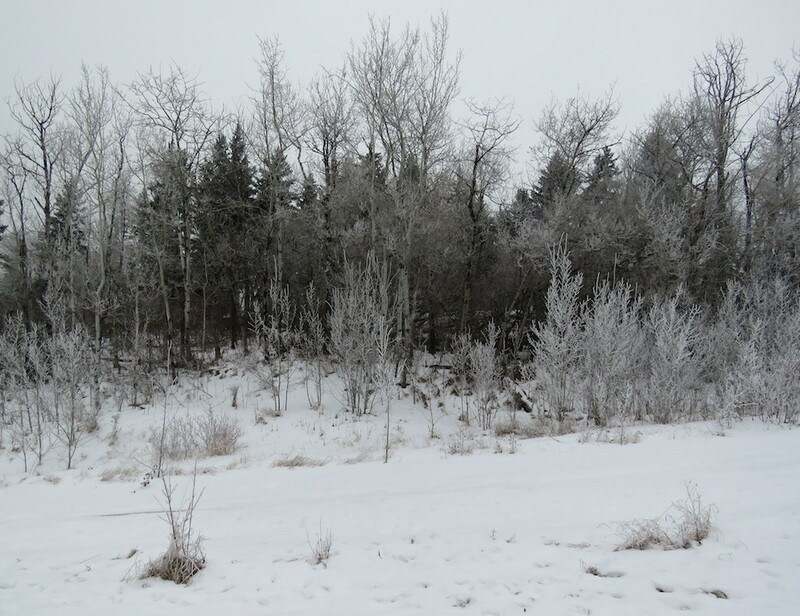 Yesterday (Saturday), the view was completely obscured by fog. I kept expecting monsters to emerge out of the mist. On that basis alone, I decided against walking into the ravine. Today, the fog mostly lifted, affording a much clearer view of monsters on the horizon, and so I ventured out. 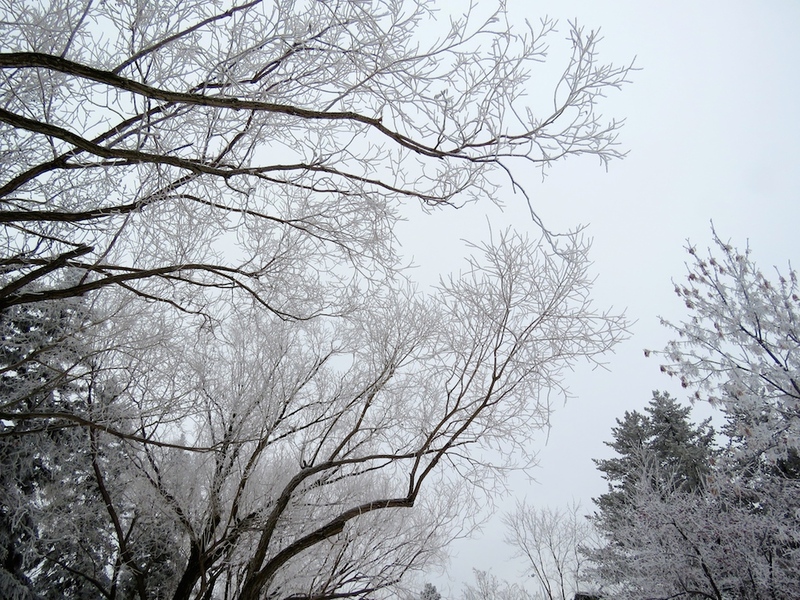 Everything was pillowed in white and each branch sprouted a different configuration of frost. 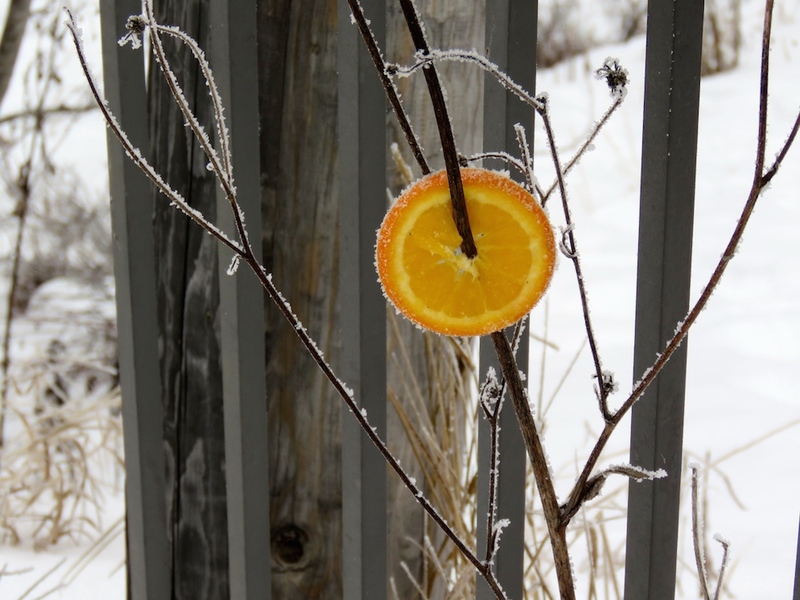 But then, suddenly, an orange slice, impaled on a twig! It was so lovely, so vividly, ludicrously orange against the bleached background. Unfortunately, the photo wasn’t as crisp as I had hoped. 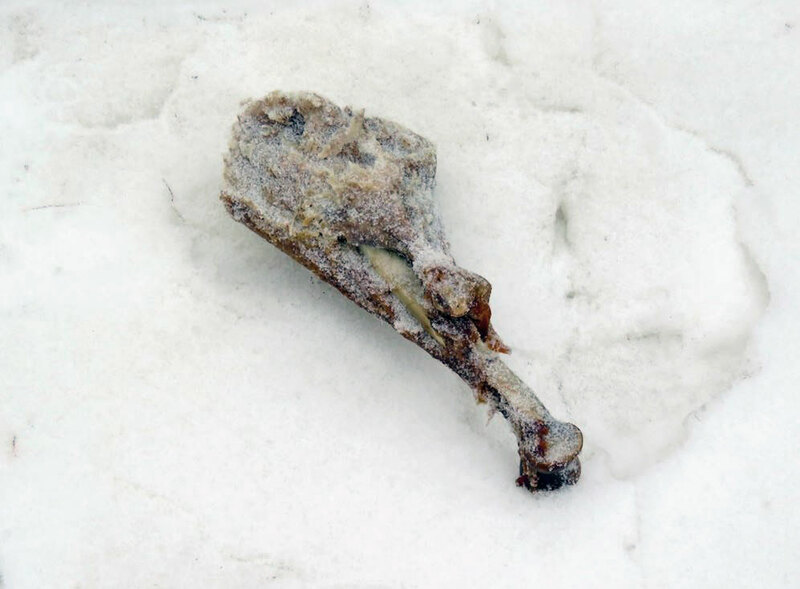 On the way back, a random turkey leg. Not nearly as vivid, but just as much of a surprise.